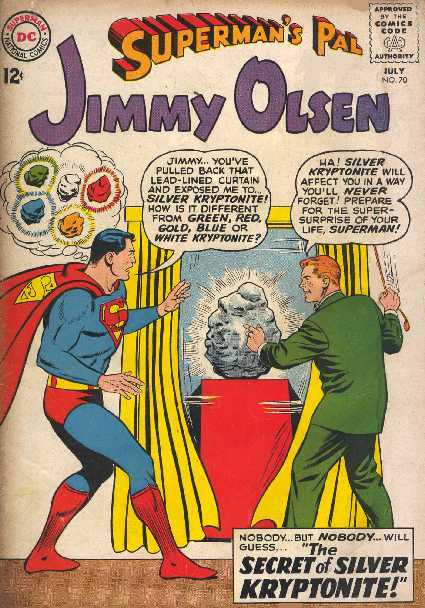 SUPERMAN'S PAL JIMMY OLSEN NO.70 (July 1963) Cover by Curt Swan & John Forte. "Jimmy Olsen Boo Boos" by John Forte. "The Human Robot" by Curt Swan & George Klein. 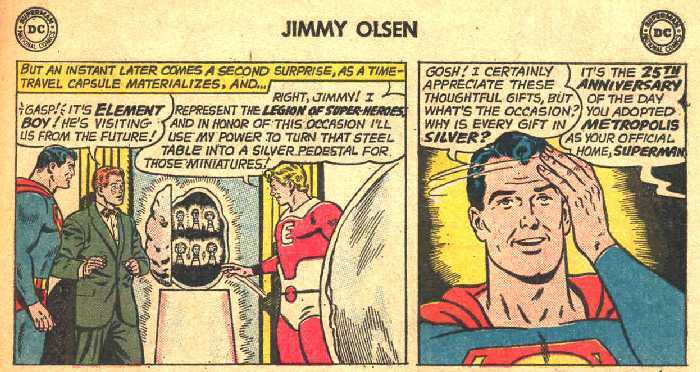 "The Secret of Silver Kryptonite" by Curt Swan & George Klein. (Element Boy).